More of my crappy pics here. It's probably been 15 years since I last witnessed Into Another perform at Irving Plaza, and in all that time dudes still haven't figured out how to mosh to them. Yet the audience at the final installment of the East Coast Revelation 25 shows couldn't help but try when the homegrown act started their set with the underground hit, "Underlord." Eventually, the pit settled into a sinuous ebb and flow befitting the unconventional band. Richie Birkenhead's vocals, still as screechy and polarizing as ever made for the perfect counterbalance to Peter Moses' stadium-worthy guitar tones. Into Another ran through a tight, hour-plus long set that included "Running Into Walls," "Poison Fingers," "While I Die," "T.A.I.L." and "The Other." The closest I came to heaven was when they dove into "William." The omitted "Two Snowflakes" and "Maritime Murder" were sorely missed, especially baffling since "May I" was included in the Irving Plaza set. Evidently, their performance was fairly different from their show the night before at Saint Vitus Bar. Rounded out by ex-Ignite guitarist Brian Balchack and bassist Reid Black, Into Another made sure to pay tribute to their late bassist (and ex-Whiplash metaller) Tony Bono. "We want to send a huge wave of love up to Tony," said Birkenhead. Also announced onstage was their four-day East Coast run in December, including a stop at Bowery Ballroom on December 16. I'll be there. 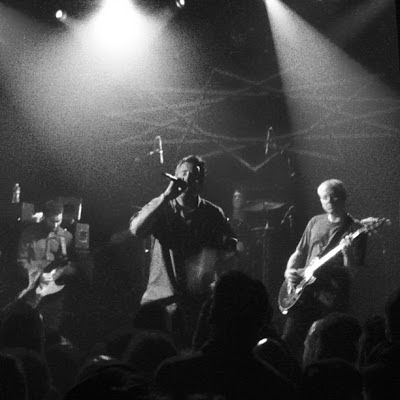 And if you need more incentive to join me, check out some reunion footage from the CA Revelation 25 show, as well as Saint Vitus.